We offer stunning roofing solutions to businesses and homeowners throughout Bishopsworth and Withywood to ensure that, no matter what the time of year, your property is always protected from the rain, snow, wind and general weathering. We can carry out a no obligation site visit and provide you with a free quote for your records. We commit to giving you a reasonable, affordable price and a reliable service. For all your roofing requirements, dial 0117 345 9299 and we'll be more than happy to help. When you deal with us, you're sure to receive the highest standards of craftsmanship, the finest quality materials and attentive customer service. Opting for a reputable, qualified roofing specialist means that you can be secure in your choice of service for your home. In the same way, opting for the right materials and techniques allows us to promise our customers a reliable outcome. With 15 years of experience and industry knowledge, you can always depend on us to get the job carried out precisely how you want it. 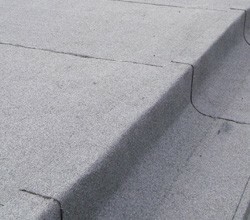 For qualified roofers and unbeatable prices, there really is no need to look any further.